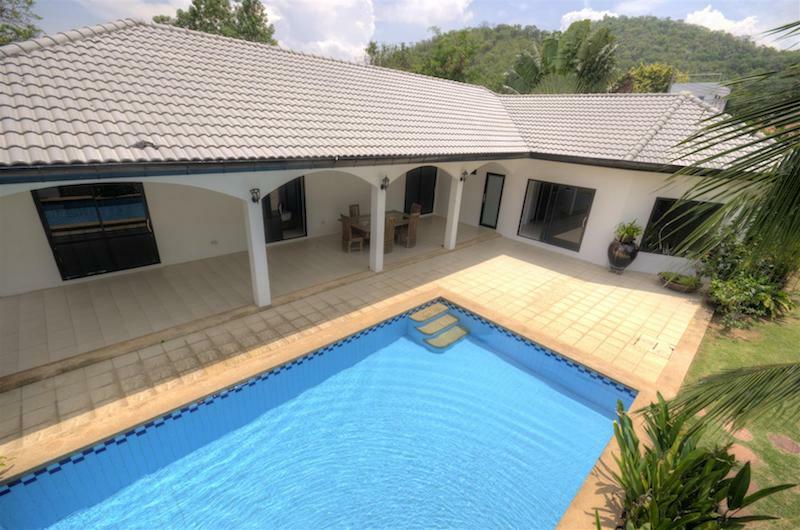 Home LARGE KAO TAO HOME FOR SALE OFFERED AT A FANTASTIC PRICE! 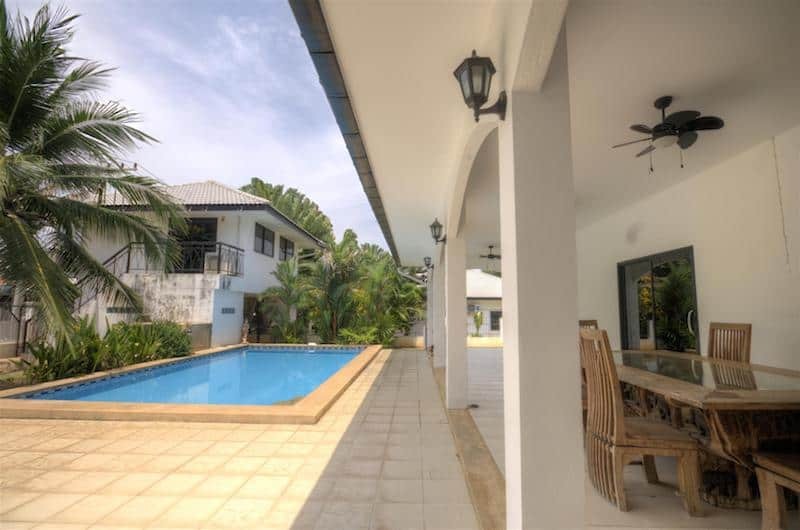 LARGE KAO TAO HOME FOR SALE OFFERED AT A FANTASTIC PRICE! 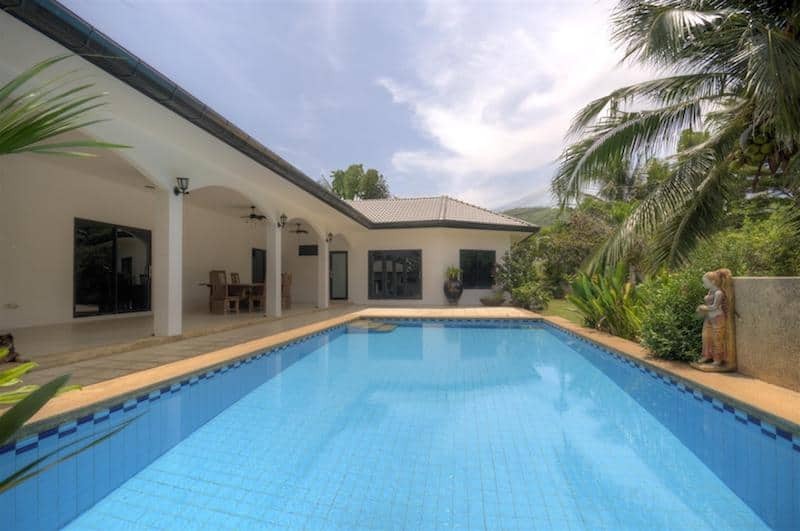 THIS IS A LARGE KAO TAO HOME FOR SALE WITH PRIVATE POOL OFFERED AT A FANTASTIC PRICE! This is an amazing deal at a very low price! 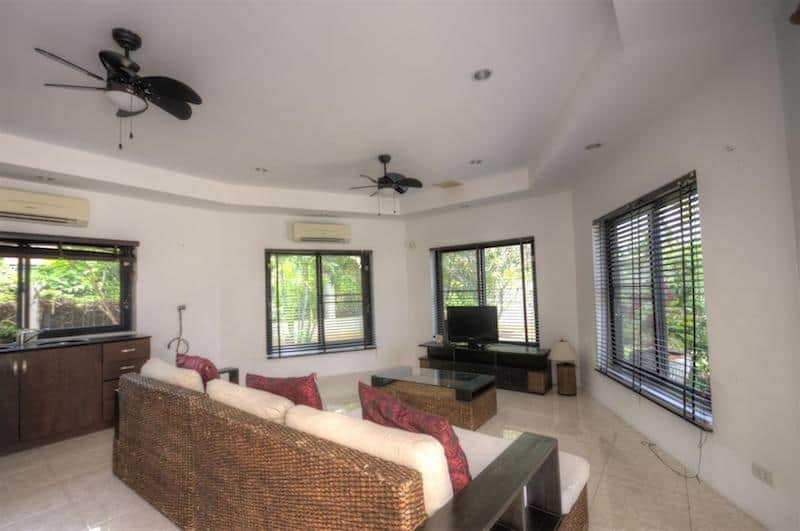 The property consists of an open plan living area with modern kitchen; 4 bedrooms; 3 bathrooms; a laundry room; a large private pool with garden; and covered terrace for additional outdoor living area. 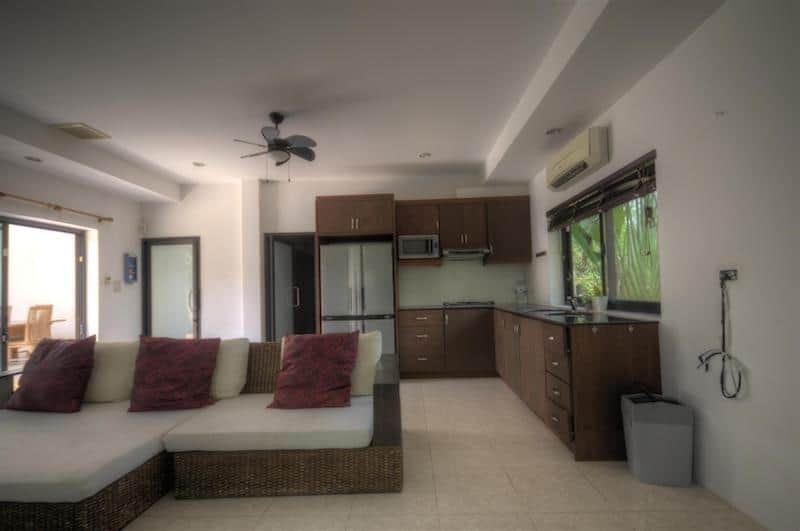 The house is sold fully furnished, and all rooms have air conditioning and ceiling fans for added comfort. The master bedroom has an en suite bathroom with double sinks and walk-in shower. 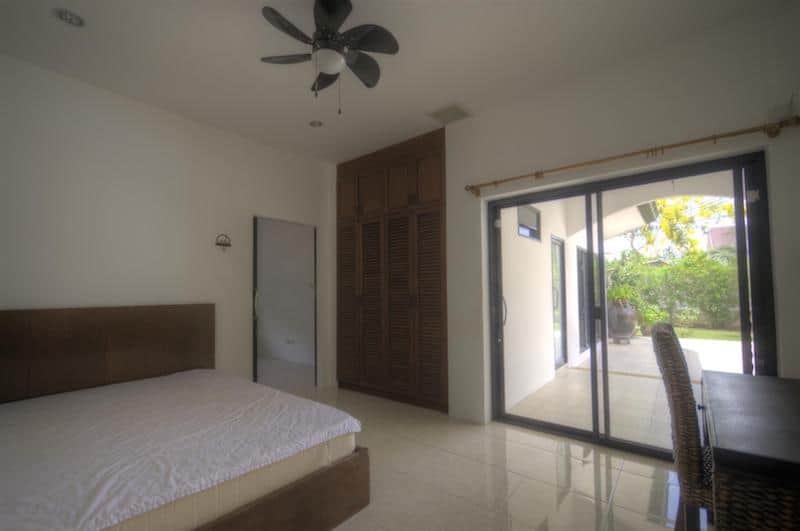 The master bedroom also has internal access to the second bedroom, which is great for small children. 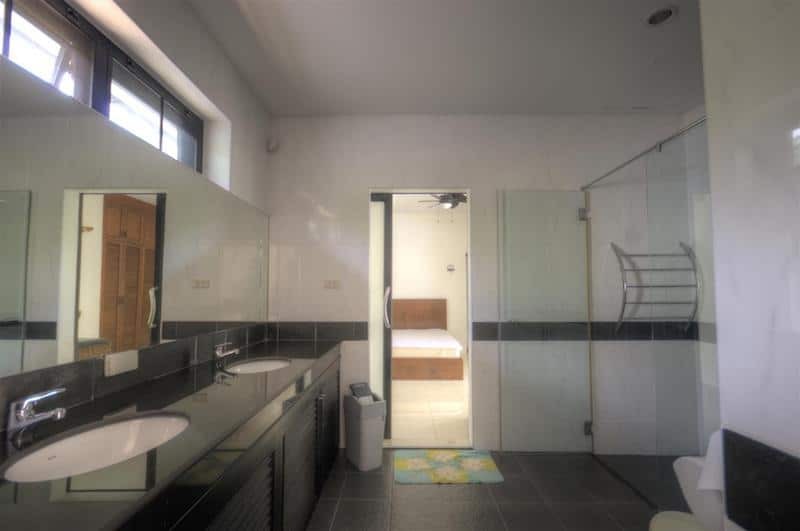 The second and third bedrooms share an en-suite bathroom, so all 3 bedrooms can be accessed internally. 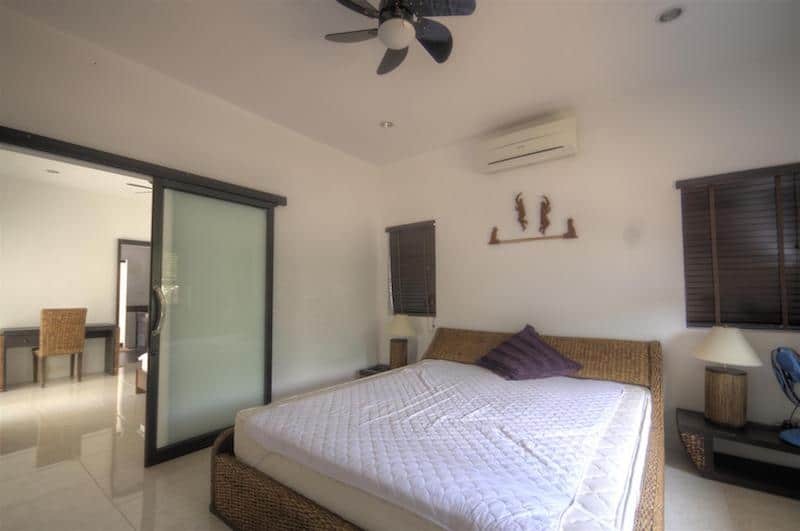 The 2 guest bedrooms can also be accessed externally via the covered terrace, so they have direct access to the pool and terrace areas as well. 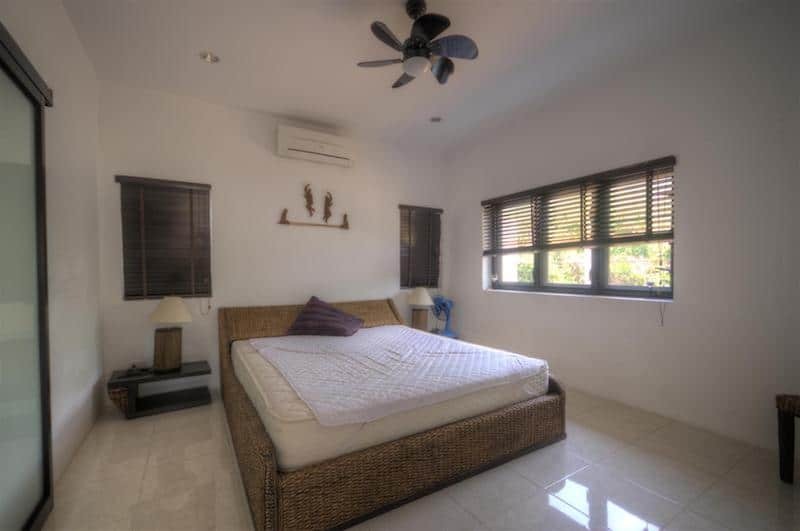 The 4th bedroom is above the covered carport, which would be ideal as a granny flat, an office or studio. 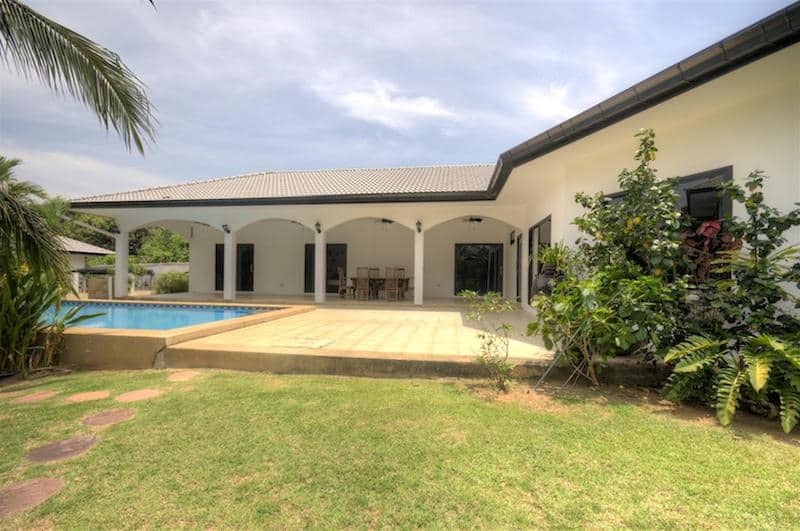 The property has double cement brick walls, roof insulation and tinted windows for more effective heat protection, so the home is generally cool throughout the day. There is a privacy wall and private entrance gate, as well as a covered carport. 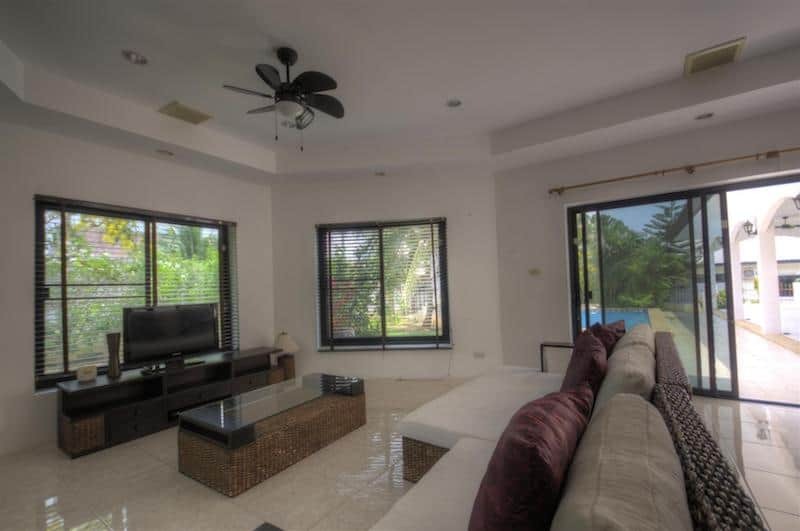 The home is located within a community of similar style, completed villas, though there is no communal maintenance program or fees. The land is full Chanote title deed and can be owned freehold or leasehold. 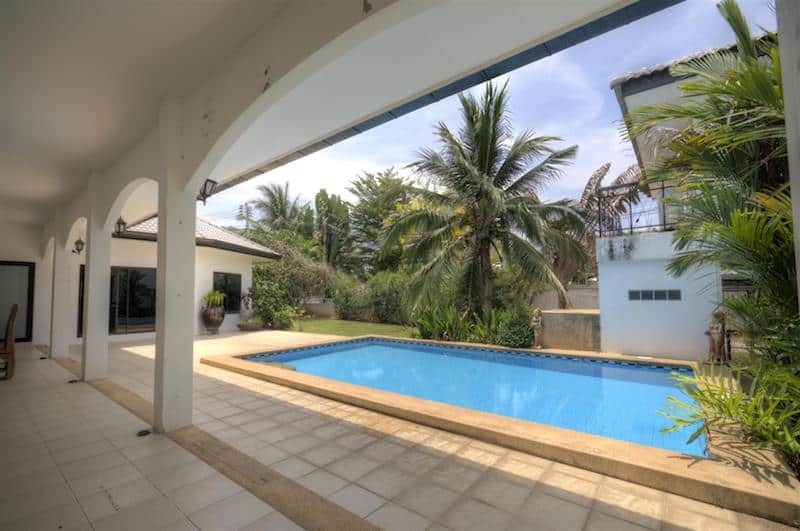 The distance to the Kao Tao beach is less than 5 minutes, and Hua Hin town center is about 10 minutes by car.